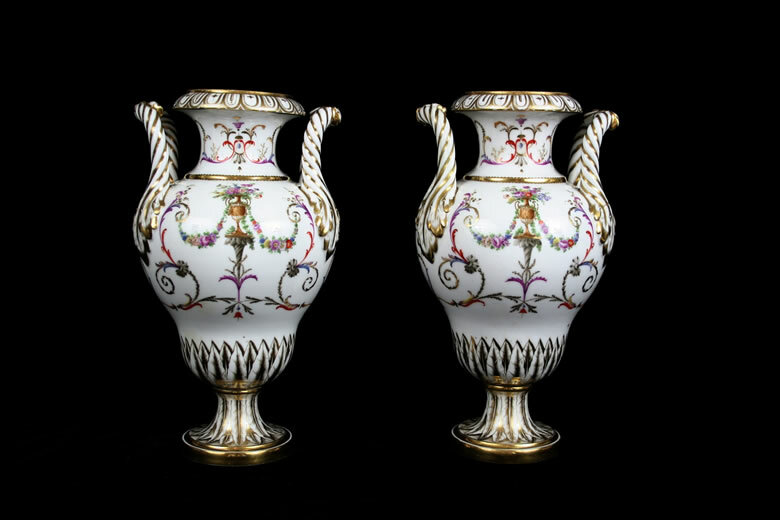 Louis XVI Paris porcelain vases from the Angoulême factory. The factory was opened in 1780 on the rue de Bondy under the protection of Louis-Antoine, duc d’Angoulême (the son of the Count d’Artois) with Dihl and Guérhard as production supervisors. It continued under Dihl and Guérhard after the revolution.